Stately Brick Custom Home tucked away on Cul de Sac in private luxury neighborhood.Two-Story Foyer, Dramatic open floor plan with brick floor to ceiling fireplace in vaulted Great Room, Formal Dining Room w/access to Complete Kitchen Remodel in 2009, Huge working Island, gorgeous cabinets with granite, SS Appliances, first floor laundry and full bath, hardwood floors throughout. Second floor library nook at top of stairs, Grand Master Suite with Fireplace, Spa Bath, Two other Bedrooms each have their own full bath. Finished Basement with full bath, bar, wall of shelves in large recreation room. NEW (tear off) Roof, Gutters in 2017, Driveway replaced 2015, Whole house Generator, 1 of 2 Furnaces/HVAC replaced in 2017, Iron fenced professionally landscaped yard with sprinklers and three tiered deck. ENJOY the separate Cabana complete with electricity- perfect for outside enjoyment. 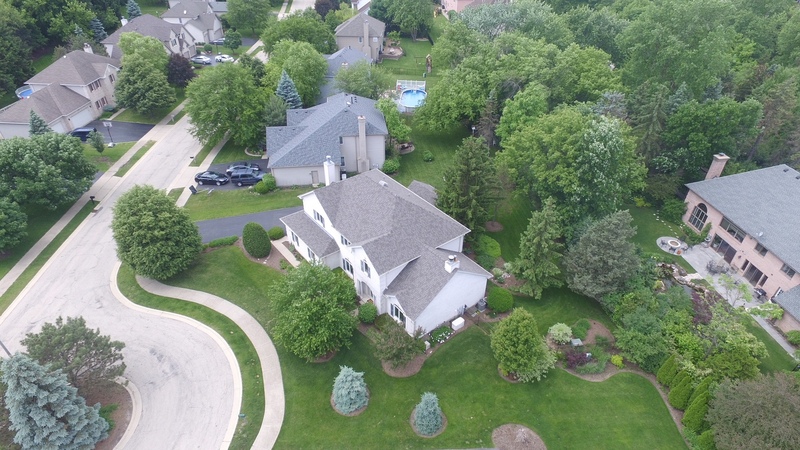 Great access to Schaumburg Schools, WoodField, Expressways. MOVE IN READY- SELLER WANTS THIS SOLD.